We all relish our morning cup of coffee but few of us give a thought to the carbon footprint caused by the thousands of takeaway coffee cups we may use during the course of our lives. This set of four reusable coffee cups from Huskee are a boon for those who are environmentally conscious but would still love to enjoy their cup of java. 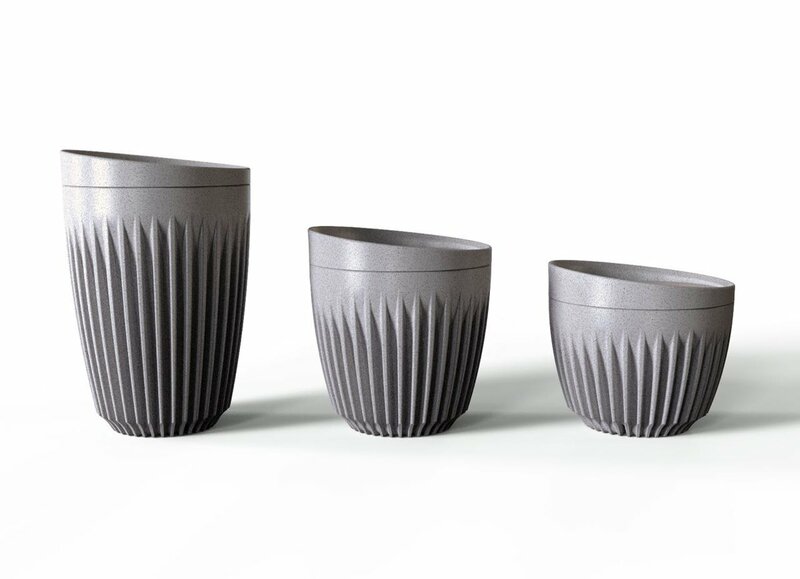 Huskee is changing that trend with these handsome, sustainable coffee cups. These stylish cups are made from discarded coffee bean husks and can keep your coffee hot for a longer period than a conventional paper cup. The cups come in 6 oz, 8 oz and 12 oz sizes. A Universal saucer bolt-on pack is available that fits them all and so are universal lids that will keep coffee from spilling. The Huskee cups are chip and crack resistant, reusable and make your conscience feel good about doing what you can to save our planet. So, what is not to like?